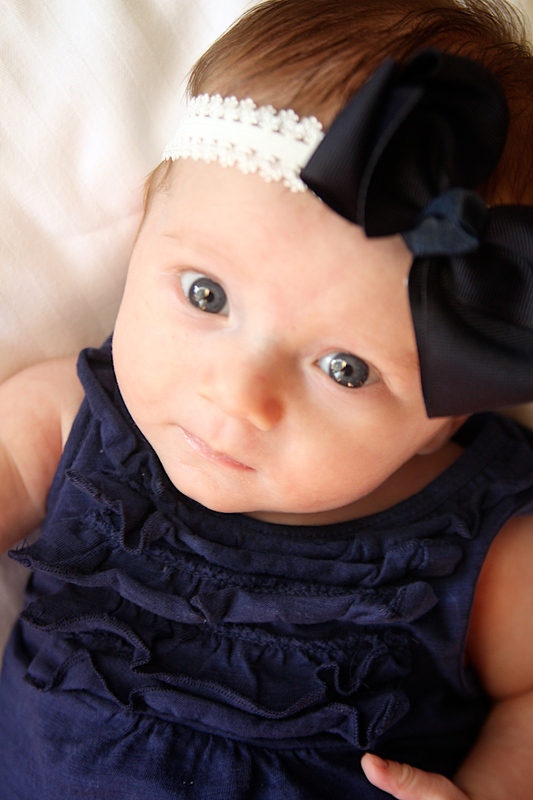 Our sweet little girl turned 2 months this week. I have it on my to do list to take some more pics of her in the next week. She just happened to look really cute (ok, when does she not?…only slightly kidding) on the day I took this one.